The three mile mixer is a workout specifically for hockey players. It is great for hockey players looking to increase their leg strength, stamina, aerobic, and anaerobic capability. This workout consists of 12 skating specific exercises done in intervals with a quarter mile jog between each exercise. Below you will find a link and an embedded video for each exercise. There is also a printable pdf at the end of the article that you can print and share with your team. Ideally this workout is done near a track where you can measure off a quarter mile easily (1 lap around) so you can do your exercises in 1 place. 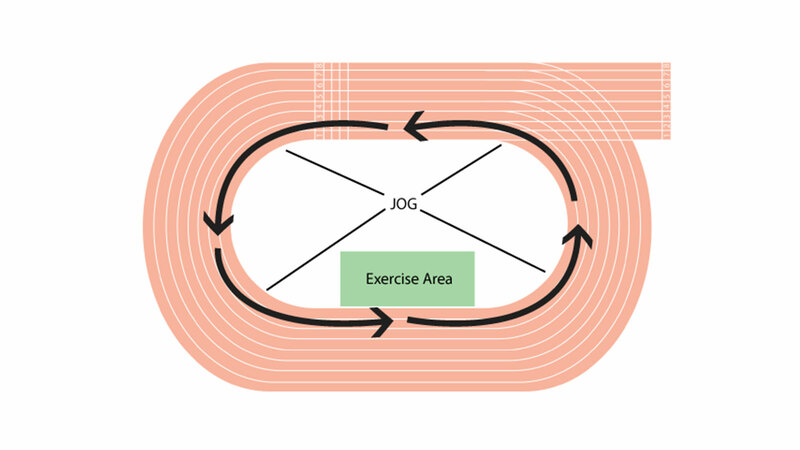 Start the workout with a quarter mile jog, 1 lap around the track, and then jump right into the first exercise. After each exercise the players run 1 lap around the track and then jump right into the next exercise. If you do not have access to a wall then you can have the players sit in skating position for 1 minute.